Scores 28 Highway MPG and 22 City MPG! This Chevrolet Captiva Sport Fleet delivers a Gas I4 2.4L/145 engine powering this Automatic transmission. TRANSMISSION, 6-SPEED AUTOMATIC (STD), SEATS, DELUXE FRONT BUCKET (STD), LT PREFERRED EQUIPMENT GROUP includes Standard Equipment. ENGINE, 2.4L DOHC 4-CYLINDER SIDI (SPARK IGNITION DIRECT INJECTION) with VVT (Variable Valve Timing) and E85 capability (180 hp [135.7 kW] @ 6700 rpm, 172 lb-ft of torque [232.2 N-m] @ 4900 rpm) (STD), BLACK, CLOTH SEAT TRIM, BLACK GRANITE METALLIC, AUDIO SYSTEM, AM/FM STEREO WITH CD PLAYER AND MP3 PLAYBACK seek-and-scan, digital clock, auto-tone control, Radio Data System (RDS), speed compensated volume, TheftLock, auxiliary input jack, and Universal Serial Bus (USB) port (STD), Wipers, front intermittent with washer, Wiper, rear intermittent with washer, Windows, power with driver Express-Down, Wheels, 17" x 7" (43.2 cm x 17.8 cm) polished forged aluminum, Visors, driver and front passenger illuminated vanity mirrors, Transmission, 6-speed automatic. 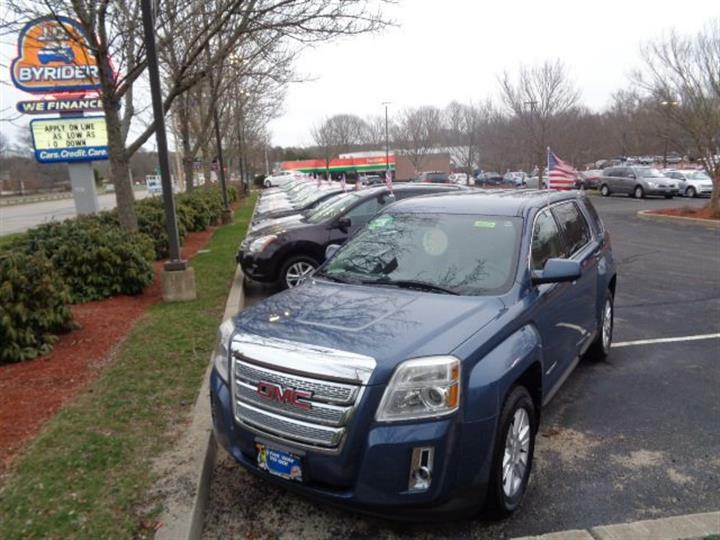 Come in for a quick visit at JD Byrider-MA104, 331 State Rd (Route 6), Dartmouth, MA 02747 to claim your Chevrolet Captiva Sport Fleet!